and disturbing reality of the Lambert Family! The famed horror team of director James Wan and writer Leigh Whannell reunite with the original cast of Patrick Wilson, Rose Byrne, Lin Shaye, Barbara Hershey and Ty Simpkins in INSIDIOUS: CHAPTER 2, a terrifying sequel to the acclaimed horror film, which follows the haunted Lambert family as they seek to uncover the mysterious childhood secret that has left them dangerously connected to the spirit world. 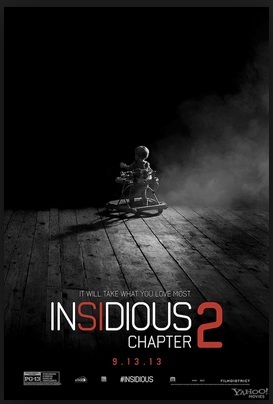 INSIDIOUS: CHAPTER 2 opens on Friday the 13th, September 2013.